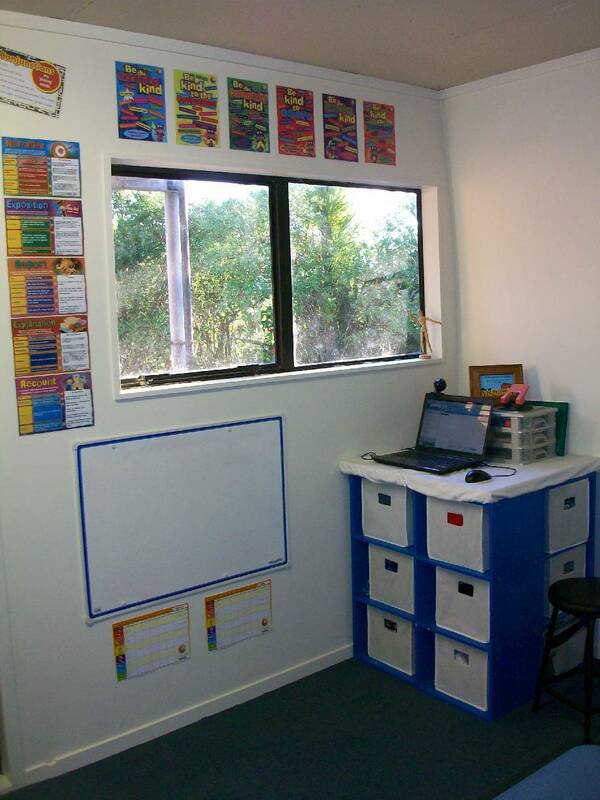 this is our new classroom ... it is a wonderful space for learning, reading, and the odd bit of pinterest creating! actually you can see heaps of pinterest inspiration and past pinterest creations in these photo's ... see i really do use all my creations! the storage cube (pinterest idea) made of three bookcases and a board on top for the laptop. the white board is down low for mat time with pollyanna. 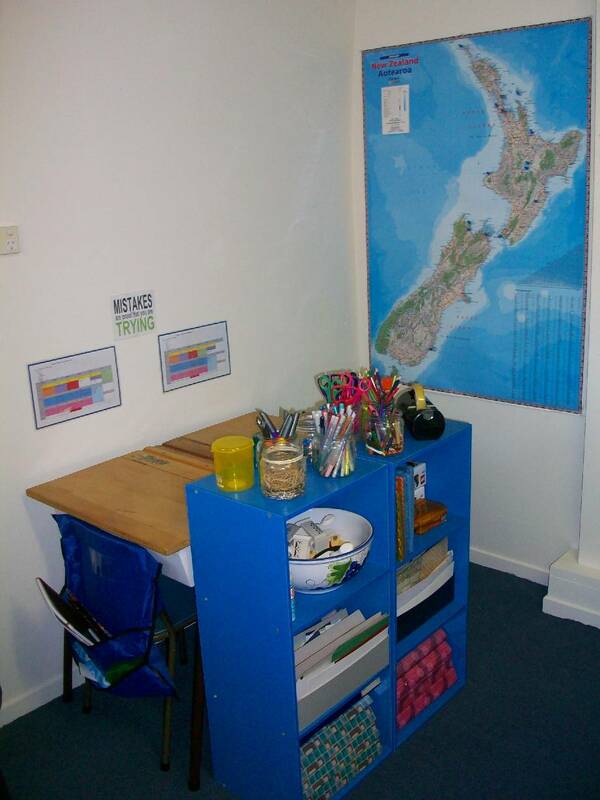 moving around the room, next to the laptop and storage are their desks and some more storage. the map of new zealand and the pins of where they have been is also one of my pinterest creations! 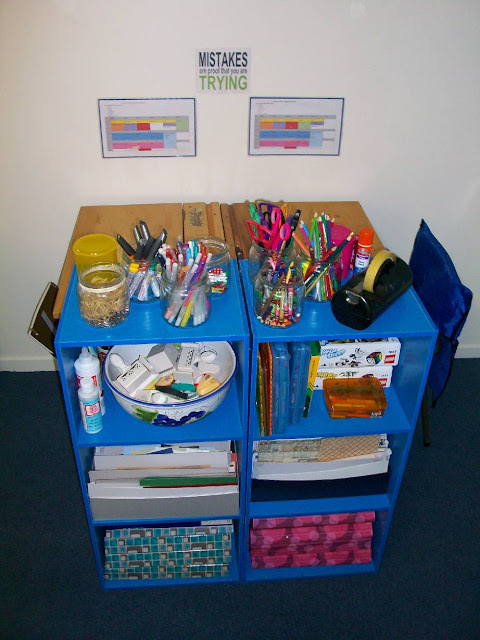 i love storage and in a classroom you can never have too much! 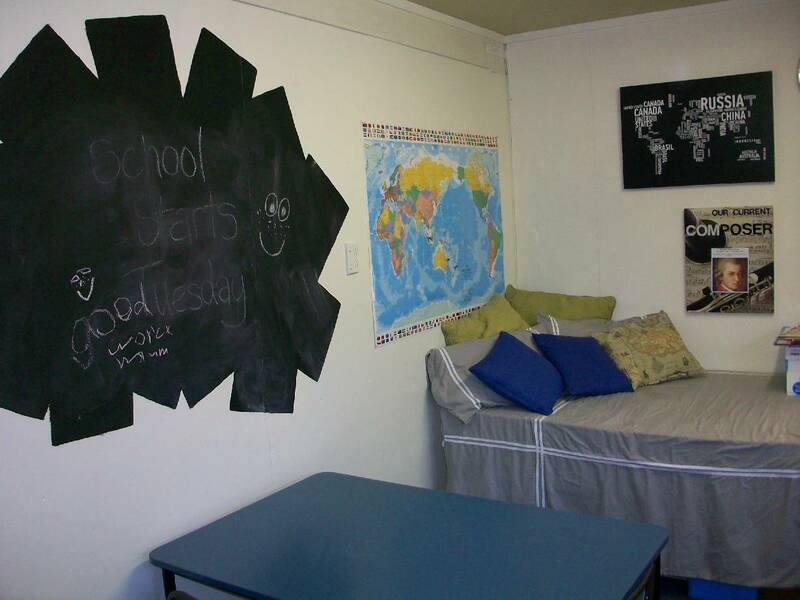 moving around from their desks is our blackboard we painted and that also cemented a long term relationship and overuse of black board paint! the craft table where we can all work together. in the corner is the world map with the pins of places they have been and a bed which the peeps use for reading on ... nothing better than curling up in all the cushions with a good book! some more pinterest creations and inspirations in this photo, in fact i think i can count 7! 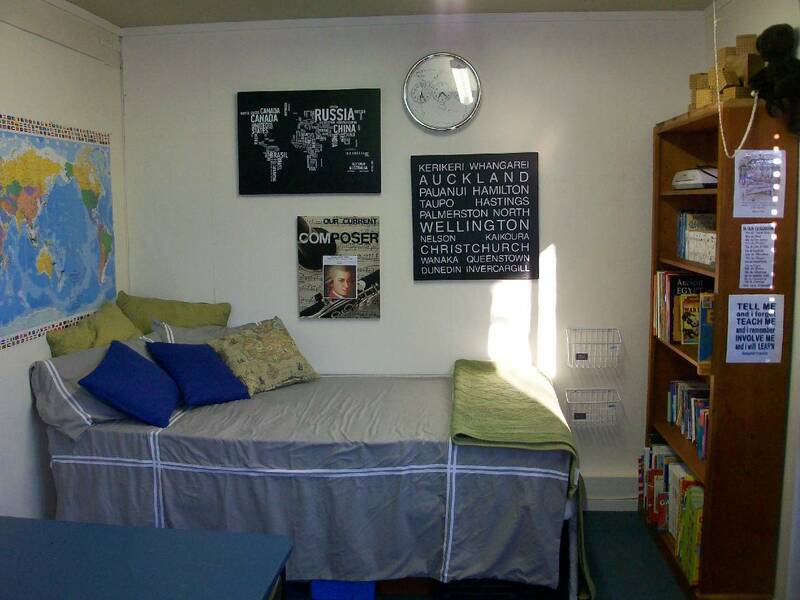 my favourite pinterest creation in this photo has to be the library baskets on the wall. and moving right around to the start (see the white board, this is our entrance and yet more storage in the form of a big bookcase. love that there is still plenty of floor space and that everything has a place to be put away so the peeps can concentrate on what they have in front of them and not anything else :) that's the theory anyway! This has got to be the coolest classroom ever! 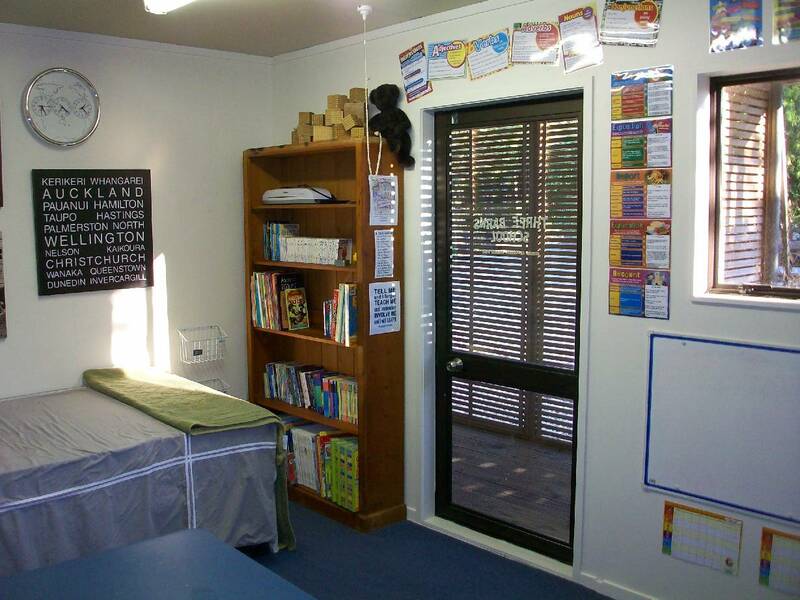 Love all the bright colours and fun cubbies and the reading lounge! Brilliant! So cute!! It really is like a real classroom! I adore it! So good to see your classroom all set up with your pinterest creations...my fave is the blackboard..in fact I think Hannah has her eye on that for her uni room too!! What a lovely room! I'm especially fond of your chalkboard!